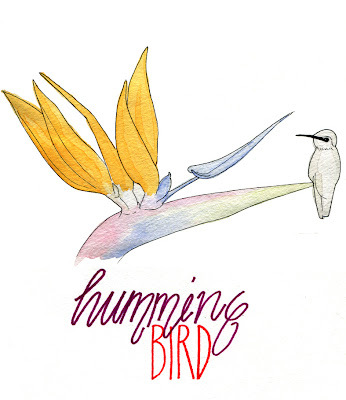 i was unable to identify the hummingbird in question, but i drew a very generic bird anyway. 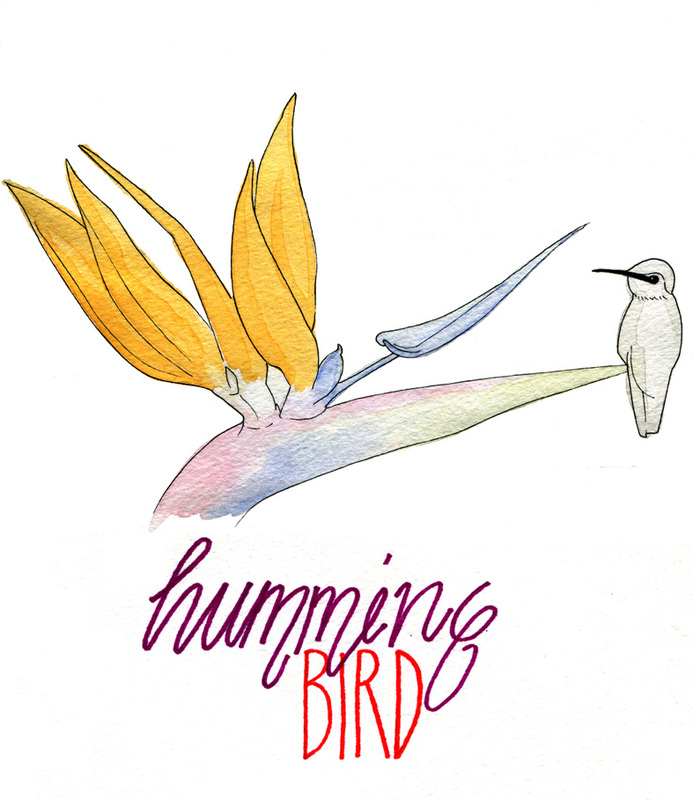 in fact, this drawing is more about the bird of paradise than it is about the hummingbird. at least my watercolouring is marginally better in this picture. i think i'll talk about how cool hummingbirds are at a later stage. it's pretty funny that people need to be told the difference between hawk moths and hummingbirds though. because while hawk moths are particularly large, and hummingbirds particularly small one is still a moth. would you ever think this was a bird? just kidding. that is actually a hummingbird.